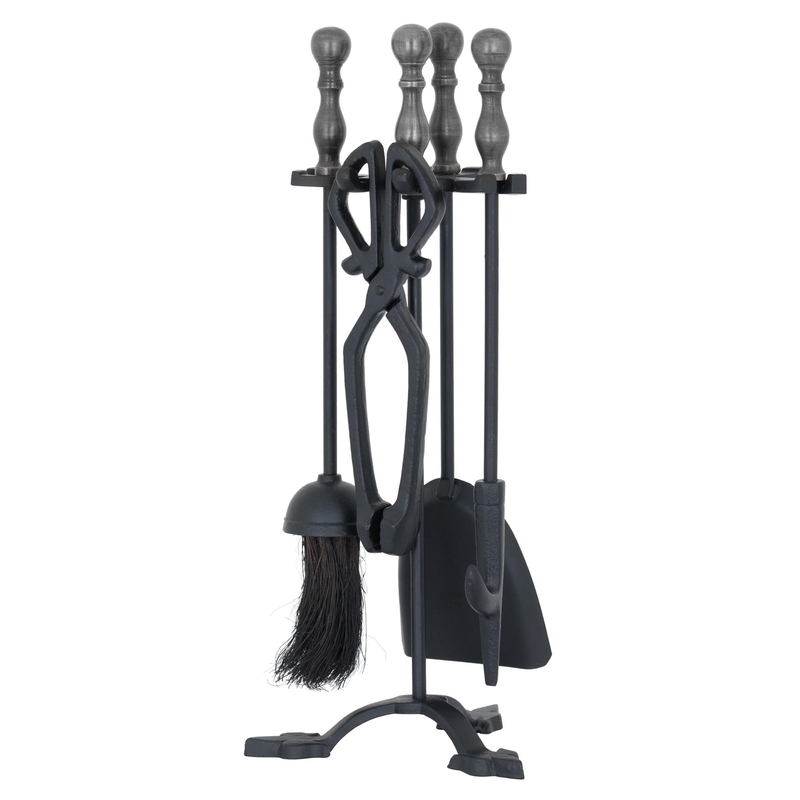 Introducing our Hand Turned Fire Companion Set In Black With Pewter Handles. This piece is both the practical and handsome piece to complete your fireplace. Made from metal and coming in a beautiful silver and black colour, this is the accessory your home is missing. Coming with Pewter Handles, a traditional and medieval style, you wont regret buying this.